I have very little personal experience with these three-wheeled animals, unless you consider the Big Wheel I loved as a kid growing up in the desert of New Mexico. Boy, I rode the wheels off that thing. Anyway, I have had an eye on the adult variety of these machines for a few years now and have my own favorites. Yup, it is a three-wheeled world all right and there is a lot more power out there than was available to my Big Wheel and me thirty some-odd years ago. 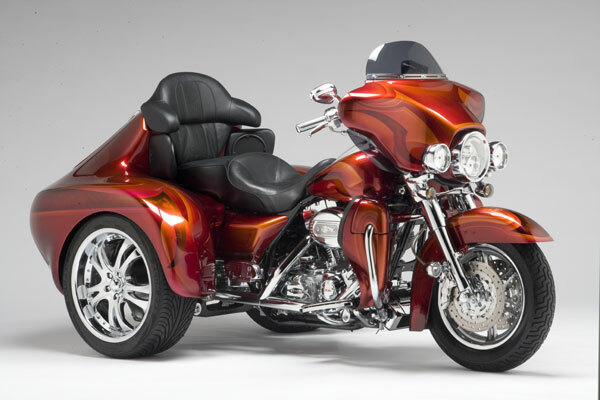 Check back for the next installment when we look at a few custom trikes and eventually get to sidecar hacks. 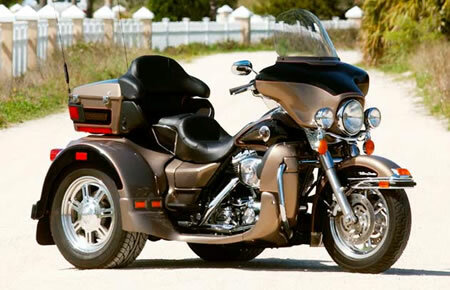 This entry was posted on October 15, 2008 at 8:29 PM and is filed under American Motorcycle, ArtBiker's Thoughts, Biker News, Custom Motorcycle, Harley-Davidson, Motorcycle Industry News, Product Reviews, Uncategorized with tags boss hoss, dft, lehman, motor trike, trike. You can follow any responses to this entry through the RSS 2.0 feed. You can leave a response, or trackback from your own site. 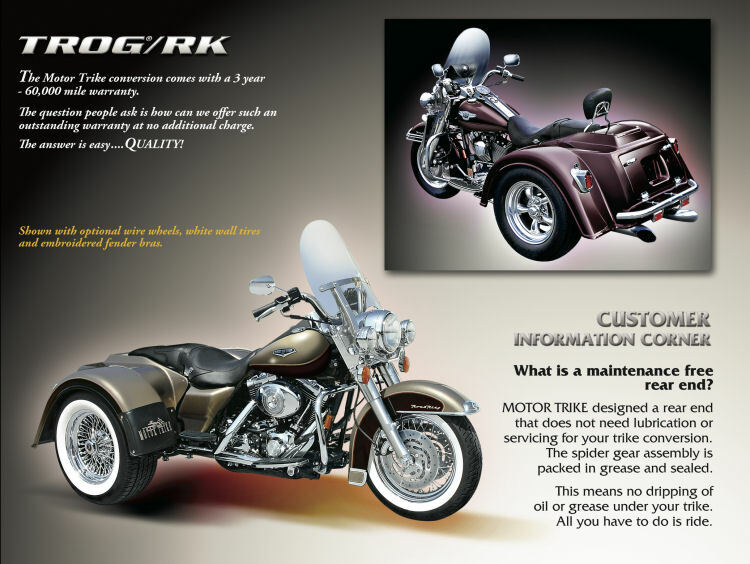 Do you have a trike kit to fit drive shaft? Suzuki Intruder? 1400?